Thim Reviews - Is it a Scam or Legit? After slipping Thim over any finger, this small, lightweight device claims to use Intensive Sleep Retraining to help you overcome difficulty falling asleep. Instead of just tracking your slumber, Thim is a wearable device that takes a behavioral approach to helping you fall asleep sooner for a longer night’s rest, as well as for taking the perfect power nap. All you have to do is slip Thim over any of your fingers. Then, the device will allow you to fall asleep and repeatedly wake you every three minutes. Over time, we’re told this can help condition your body to fall asleep sooner and get more rest. Additionally, by accurately sensing when you fall asleep (within a minute) and waking you up in 10 minutes, Thim claims to help you achieve an ideal power nap during the day that could help improve your productivity. You have to admit that repeatedly being woken up doesn’t exactly sound enticing. But based on what you learned on the Thim website, the ISR training it uses seems to be backed by science. Is it worth the money, though? Outside of a lab, can you realistically expect Thim to provide you with better sleep, or is this just another crowdfunded fantasy? We’ll discuss what we learned to help you answer this question before handing over your money. Since you probably just visited the Thim website, we won’t go into unnecessary detail here, but a quick refresher might be in order. Thim is a small device that appears to be about 1.5 inches in size and is powered by a rechargeable (but not replaceable) lithium-ion battery. The exterior is crafted from lightweight polycarbonate and is attached to soft fluoroelastomer for a snug and comfortable fit. Three bands are included to suit different finger sizes. As you go to bed, you place this band over your finger. From there, Thim will lightly vibrate once every minute—if you’re awake, you move your finger and the accelerometer registers accordingly. If you don’t move your finger, Thim will conclude that you’ve fallen asleep, at which point its proprietary algorithm kicks in. After three minutes, this algorithm will cause the device to vibrate to wake you up, and will then repeat this process for an hour (you can customize time via the app). 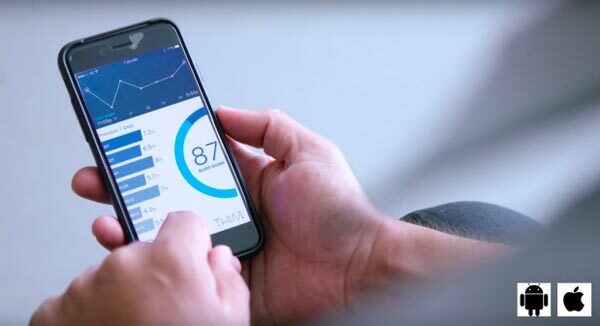 And compared to many other sleep tracking devices that use only actigraphy (measures motor activity), the company tells us that Thim is as accurate as the equipment you'd find in a professional sleep lab. Thim's power nap uses the same method of determining when you're asleep, but instead of constantly waking you up, it allows you to sleep for exactly 10 minutes. Pro tip: While the company tells us that 10 minutes is the perfect amount of time for a power nap, looking at authoritative sites, it appears anywhere between 10 and 30 minutes could be ideal. Using this data, the Thim app will calculate a sleep score, track your progress, and even allow you to share data with your healthcare professional. 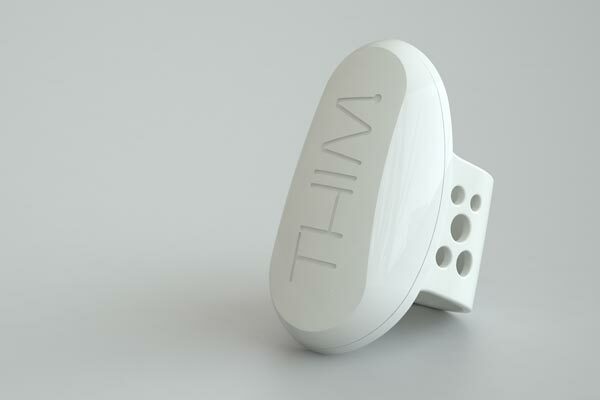 During the day, you can recharge your Thim device using the built-in USB port. This certainly sounds all well and good, but is Thim clinically proven to deliver? Is Thim’s Sleep Retraining Approach Clinically Proven? If you suffer from onset insomnia (trouble falling asleep) and have spoken with your doctor, one of the first things they might recommend is stimulus control therapy (SCT). Grossly simplified, this involves retraining your brain to associate your bedroom with sleep, rather than with worries, anxiousness, and other negative emotions. And according to authoritative websites, it's one of the most effective non-pharmaceutical methods of conquering insomnia. The intensive sleep retraining (ISR) promoted by Thim is also a behavioral approach, but one that appears to have much less clinical support than SCT—although what little does exist seems to be promising. In a 2007 study, Leon Lack, Emeritus Professor at Flinders University in Adelaide, Australia (and a member of the Thim staff), and his team enlisted the help of 17 volunteers. Each was told to sleep for no more than five hours the night before the study. Once in the lab, volunteers were allowed to sleep for no more than three minutes every 30 minutes, which continued for a period of 25 hours. The idea was to show these volunteers that they could fall asleep quickly, which would then act as a psychological boost and address their insomnia, similar to SCT. How’d it work? The team reported that after the trial, volunteers were falling asleep about 30.5 minutes faster and total sleep time increased by 64 minutes, effectively overcoming their insomnia for at least six weeks following treatment. Overall, though, the results were relatively in line with current behavioral therapies like SCT. The only other publically available ISR-related clinical study we found during our research was conducted in 2014 by the Madigan Army Medical Center, which helped a single subject improve her insomnia, daytime sleepiness, and anxiety about sleep. TL;DR: The ISR implemented by Thim essentially amounts to well-timed sleep deprivation (also called sleep debt, or sleep pressure). While clinical studies for ISR are limited, some have shown that it can help onset insomniacs fall asleep faster and remain asleep longer, about as well as SCT. Can You Expect Similar Results? Can you expect to achieve the same relief from onset insomnia with Thim? Here’s where there might be some disconnect between the existing research and Thim’s claims. Why? First, while you might be sleep deprived if you’re suffering from an ongoing round of insomnia, therefore making you more likely to fall asleep faster the following night, this certainly won’t be the case for all of Thim’s customers. Second, participants in Dr. Lack’s study were made to remain awake for 30 minutes following their three-minute naps. Comparatively, based on what were told by Thim, it appears you can doze off whenever your body allows. We’re also not told how participants were woken up in the study: Was it another person coming into the room? Just voice commands? An alarm? Or, a buzzing device like Thim? To a layperson like us, this seems like a meaningfully important detail. Finally, each of these studies involved extremely prolonged periods of sleep-wake cycles (25 and 40 hours, respectively), so there’s nothing to indicate that Thim’s one-hour nightly sessions will accomplish the same results. Granted, we didn’t test Thim firsthand, so we’re certainly not saying the device won’t be able to bridge the gap between the lab and your bedroom. Instead, we’re just outlining the differences and driving home the fact that there doesn’t appear to be any direct clinical support for in-home use in the manner promoted by the manufacturer. How Much Does Thim Cost? Currently, Thim is only available for pre-order on Indiegogo, with perks ranging between $139 and $199 and an estimated shipping date between June and July 2017. Upon release, Thim will offer support via phone, live chat, and email, although no refund or warranty information was listed. We emailed the company at hello@thim.io and will be sure to update this article as soon as a response is received. What Else Do We Know About the Thim Team? Thim was originally funded on Kickstarter, where it earned $126K on an original goal of $120K. On Indiegogo, the device had raised another $108K at the time of our research and was fully funded on October 27, 2016. In addition to his role at Flinders University, Professor Lack also works as Thim's Chief Scientist, while Ben Olsen is CEO and founder and Vera Townsend is the lead engineer. 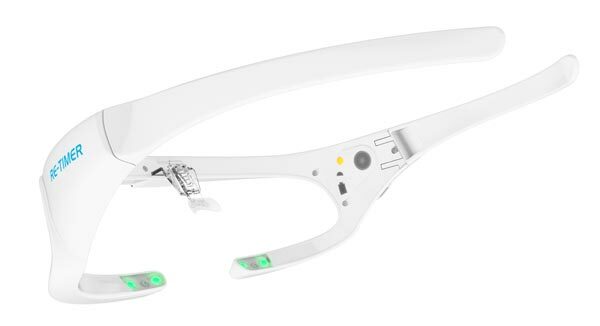 Ben Olsen is also CEO and director for Re-Timer, a specialized pair of glasses co-developed with Professor Lack that promises to help users establish a healthy sleep schedule using light therapy. Although it’s supported by a great deal more clinical research than Thim and the company tells us Re-Timer was sold in 40 different countries, we didn’t encounter a whole lot of direct customer feedback for the device. In 2014, The Daily Mail reported that a 29-year old cured her insomnia using Re-Timer and a Wearable Technology article claimed it helped the author stave off seasonal affective disorder. Obviously, since it’s a completely different device with a different purpose, we’re not equivocating Re-Timer and Thim. However, we want to make sure you have all the essential information available. Finally, before joining the Thim team, Vera Townsend worked as a biomedical engineer and clinical technician at Helicon Technology. 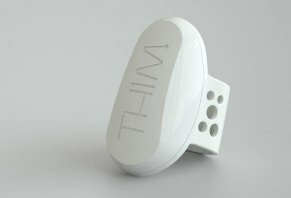 Are There Other Sleep Devices Like Thim? When reviewing other sleep tracking devices like ResMed S+ and Sense Smart Alarm, we’ve always wondered: While it’s great that they might help you learn more about your sleeping habits, what can you ultimately do with the information they provide? In other words, how can you implement the data so that your sleep is meaningfully improved? By offering a behavioral approach that piggybacks off stimulus control therapy, Thim seems to help solve this dilemma. However, other than the “cool factor” of the data it tracks and being able to pass it along to your healthcare provider, it doesn’t seem you’ll be able to implement much of it into your life. From this behavioral perspective, there doesn’t appear to be anything else exactly like Thim currently on the market. However, there are third-party actigraphs (although they don’t have a reputation for accuracy), vibrating alarms, and even the Sleep on Cue app that’s also based on Dr. Lack’s ISR research. Will Thim Work for You? Obviously, without being released yet and without testing the device firsthand, there’s no way to realistically know if Thim will deliver on its promises, without placing an order. First, although we already discussed some of the seeming disconnects between Dr. Lack’s clinical research and the Thim device earlier, it’s important to reiterate that it’s only marketed toward those with onset insomnia—and perhaps those who are interested in daily power naps. In a similar vein, while Thim’s ISR therapy could foreseeably help you fall asleep faster and remain asleep longer, there doesn’t seem to be any clinical support that it can necessarily help you sleep better (i.e. that it can improve sleep quality). Finally, as we outline in The Risks of Backing a Crowdfunding Campaign, one of the most common complaints associated with these types of projects is that extensive delays occur. Sometimes, these companies all but disappear off the face of the earth, never to be heard from again. Fortunately, with the original Re-Timer device, it was sold in 40 countries and seems to have garnered positive (if limited) customer feedback. On top of this, Thim has already undergone two successful campaigns, so the likelihood of this occurring might be lower. Does this mean you should place an order? As consumers ourselves, we might wait until we learn more about the refund and warranty details, but the company certainly seems legitimate. Do you think Thim delivered a solid value for the money? Or, did it do nothing for your insomnia? Tell us in your review below! Write a Review for Thim!